A collection of fifteen essays addressing the basic intellectual challenges to the contemporary Christian church. Professor Torrance deals with such topics as the centrality of Christology in scientific dogmatics, the Reformed and Roman Catholic doctrines of grace, theological education, the relation of theological statements to scientific methodology, the contemporary significance of some past theological giants, and the nature and significance of the Holy Spirit and of the church. 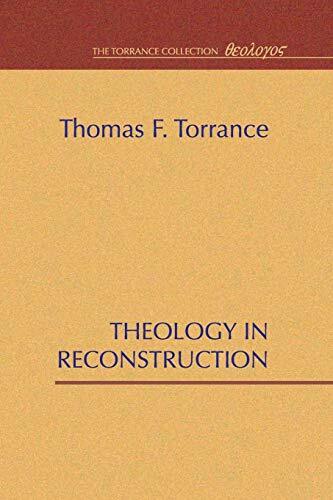 Thomas F. Torrance (1913 2007) occupied the chair of Christian dogmatics at the University of Edinburgh for twenty-seven years. He was the recipient of the Templeton Foundation Prize for Progress in 1978, and he served as moderator of the Church of Scotland and coeditor of the Scottish Journal of Theology. He wrote extensively, contributing more than twenty major works of theology and hundreds of articles in a variety of languages.